Big Splash Web Design is excited to announce a new partnership with Chocolate Bayou Federal Credit Union in Alvin, Texas. The first order of business is a complete redesign of the credit union’s website. Once the new site is launched, Big Splash will take over monthly maintenance of the new site, a service Big Splash provides for several clients. This new partnership grew from a fall 2010 promotional project called “Together We Can Do Good,” in which Big Splash had the opportunity to work with Amoco Federal Credit Union in their effort to raise funds for Galveston County food pantries. 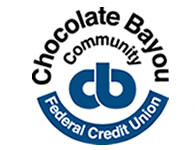 Chocolate Bayou Federal Credit Union is a significant financial institution in Brazoria County, Texas, with $65 million in assets and almost 17,000 members. The institution operates several locations in Brazoria and Galveston Counties, including two locations within area high schools. They approached Big Splash Web Design looking for an updated design, desiring something more user-friendly for its members, with easier navigation. An additional priority for the site was a design that offers the credit union’s Marketing Department more options and flexibility in highlighting their frequent promotions. Roy Waldrep, Vice President of Marketing, and Debbie Labry, Vice President of IT/Security, are the key staff members from Chocolate Bayou FCU, working closely with Big Splash in this new partnership. 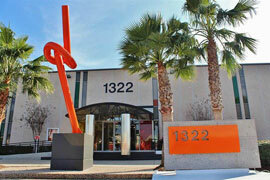 Big Splash Web Design is located in Friendswood, Texas and is a full service web design and internet marketing agency. The company focuses on making the internet easy and accessible to every business no matter how large or how small. Big Splash’s marketing blog offers information on a variety of topics from hosting and web design to entrepreneurship. Their Twitter https://twitter.com/BigSplashWeb) and Facebook (https://www.facebook.com/BigSplash) accounts interact with thousands of people throughout the social world. 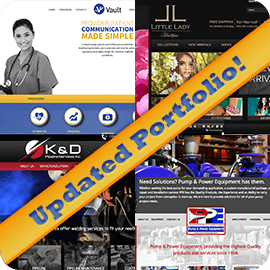 For more information about Big Splash Web Design and how they can help your business to succeed, visit their website at https://www.bigsplashwebdesign.com.